Firefox 3 - out now, faster, safer and smarter! Firefox 3 – out now, faster, safer and smarter! Faster, safer and smarter than Firefox 2 that is. June 17 was download Firefox 3 day. It got off to a bit of a piss poor start as yours truly attempted to download this brand spanky new version of our favorite browser only to discover a website that had clearly shat the proverbial bed due to the rest of the world and their mother attempting to do the same thing. It’s 11.52pm now and I’ve just got my paws on the new version and I can honestly say she seems faster than the older version and looks nicer too. The zoom function is way kool too! Password Manager Remember site passwords without ever seeing a pop-up. One-Click Bookmarking Bookmark, search and organize Web sites quickly and easily. Improved Performance View Web pages faster, using less of your computer’s memory. 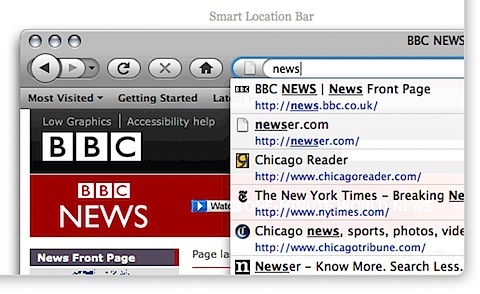 Smart Location Bar Find the sites you love in seconds—enter a term for instant matches that make sense. Instant Web Site ID Avoid online scams, unsafe transactions and forgeries with simple site identity. Full Zoom See any part of a Web page, up close and readable, in seconds. Platform-Native Look & Feel Browse with a Firefox that’s integrated into your computer’s operating system. Next Next post: Husky and gumball machine = Smart!